President Donald Trump’s proposed 2018 federal budget leaves most of NASA‘s funding intact, with the total budget coming in at $19.1 billion (slightly less than the $19.3 billion approved for 2017). Thanks to Motherboard’s acquisition of communication between the Trump Administration and NASA, we may have a little more insight as to why the administration views NASA as a good investment. According to documents, the Trump team asked for data and examples of NASA’s “technology development” with the commercial industry and information on whether government-funded developments are disseminated through contracts/partnerships. In short, they wanted to know how NASA helped fund and fuel private industries and how they contribute to money-making enterprises—case in point, the administration asked about NASA’s plan to survey the Moon in order to locate potential raw materials and determine how they can best be extracted for mining purposes. The commercialization of low-Earth orbit could mean a treasure trove of resources totaling up to potentially trillions of dollars. Rare and valuable resources, such as platinum-group metals, can be mined from nearby asteroids or the Moon over a sustainable period of time. That is, only if NASA has the chance to survey the Moon’s “Polar volatiles,” or regions that include minable water, hydrogen, and methane — substances that can supply long-term human missions in the future. This apparent focus from the administration is notable, as Lunar and asteroid mining has received increased interest from the private sector over recent years, with companies such as Planetary Resources and NexGen Space (the president of which, Charles Miller, is part of Trump’s team) advocating for the feasibility and profitability of such endeavors. While NASA isn’t new to bolstering commercialized efforts in space, the space agency has subtly pointed out in Motherboard’s 100 paged FOIA request that its mission isn’t primarily commercial, but scientific. “NASA envisions a future in which low Earth orbit is largely the domain of commercial activity while NASA leads its international and commercial partners in the human exploration of deep space,” they wrote. 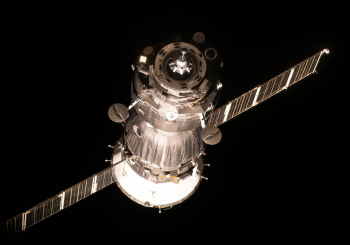 To this end, the benefits of more private operations in space include greater transparency of costs, low-cost execution of launches and exploration, greater access to different vantage points in low-Earth orbit, quick production, international collaboration, and an overall facilitation of NASA’s over-arching goal of achieving human deep-space exploration. While NASA is in it for the science, the administration might have other ideas. But will a stronger emphasis on profitability stifle innovation — or help it grow? We may get a clearer answer once the national budget is finalized and implemented. The post The Trump Administration is Interested in Extracting Resources From The Moon appeared first on Futurism. The post More Americans Work in Solar Power Than for Apple, Facebook, and Google Combined appeared first on Futurism. 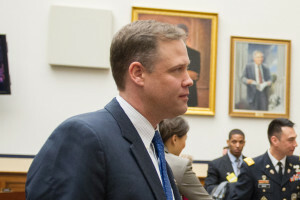 Rep. Jim Bridenstine says he’s still “in the mix” to be the next NASA administrator. The post Campi Flegrei Super Crater: The Bubbling Cauldron of Magma under Naples appeared first on Futurism. Titan Note turns speech into text instantly. It also edits, summarizes, shares, translates, charges your phone, and is a perfect portable speaker. At this point, being in class is just for fun. The post This All-In-One Device Could Change the Way You Take Notes appeared first on Futurism. WASHINGTON — The White House announced April 14 that President Donald Trump had nominated to the board of the Export-Import Bank two former members of Congress, one of them a staunch critic of the bank’s lending practices. The nominees, if confirmed by the Senate, would restore a quorum to the board and allow it to resume approving deals valued at more than $10 million, including those for commercial satellites and launches. In a statement issued late April 14, the White House announced that President Trump was nominating Scott Garrett, a former Republican congressman from New Jersey, to be president of the bank for a four-year term lasting until January 2021. He also nominated Spencer T. Bachus III, a former Republican congressman from Alabama, to fill another vacancy on the board until January 2019. Garrett, who served six terms in the House of Representatives before losing reelection in 2016, was known as a critic of the bank while in Congress, dubbing its practices “crony capitalism.” “The proposal before us is the resurrection of a bank that embodies the corruption of the free enterprise system,” he said in a speech on the House floor in October 2015, opposing a bill to reauthorize the bank after its authorization lapsed that July. Bachus, by contrast, was a supporter of Ex-Im during his 11 terms in the House, including two years as chairman of the House Financial Services Committee, where he shepherded the passage of an earlier reauthorization bill in 2012. He retired from the House after the 2014 elections. While the Ex-Im Bank was reauthorized in late 2015, a lack of a quorum on the board prevents the bank from approving deals valued at more than $10 million. Currently three of the board’s five seats are vacant. It’s not known when, or if, the president plans to nominate an individual to fill the third vacancy. 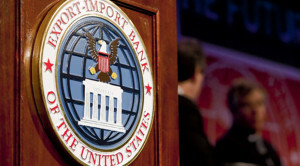 The nominations reflect a change in positions by the president regarding the Ex-Im Bank. During the campaign, Trump suggested the bank was no longer necessary. In February, President Trump made no mention of bank during a speech at a Boeing aircraft factory in South Carolina, despite suggestions he would discuss the bank’s future there. A day later, the New York Times reported that the bank was one of nine agencies being considered for closure by the White House Office of Management and Budget. However, in an interview with the Wall Street Journal April 12, Trump said he now supported the bank and would seek to fill vacancies on the board. He noted that the bank helped small businesses as well as large ones, and that companies in other countries are aided by similar export credit agencies. The Aerospace Industries Association, which has supported Ex-Im for its role in financing both aircraft and space deals, welcomed the nominations. It said in an April 15 statement that, because of the lapsed authorization and the lack of a quorum needed for larger deals, financing for satellite and launch deals dropped from nearly $1 billion in 2014 to $4 million in 2015. The nominations announced April 14 require Senate confirmation. The vacancies on the current board exist in part because the Senate failed to take up nominations made by the Obama administration in its last two years in office.